This piece of Agility equipment speaks for itself and is full of fun for your dog! 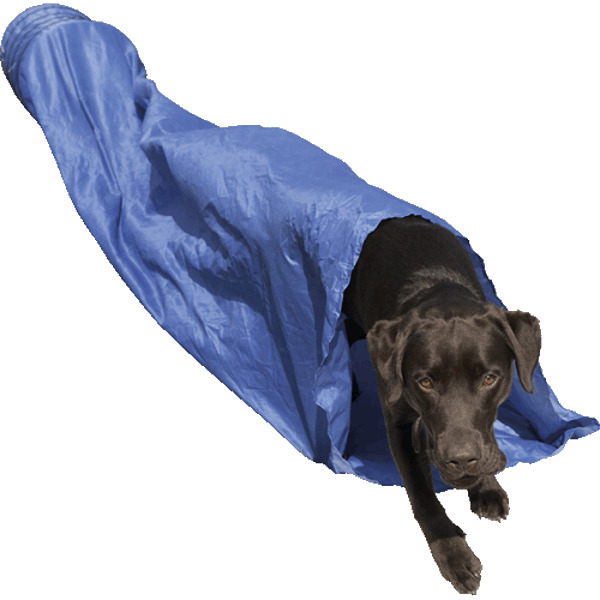 The big advantage of this tunnel, over many others on the market, is that it has a soft "collapsible" end for the dog to push its way through. It really is hours of fun for your dog and great exercise, perfect for puppies right the way through to older dogs of any size. For the experienced Agility handler you finally have a light weight, reasonably priced collapsible tunnel which you can use at home, at training classes or shows. The perfect pre-competition warm up exercise and essential if your dog is slightly nervous or shy of the the collapsible tunnel in Agility Competitions. There are currently no questions for Rosewood Agility Tunnel for Dogs - be the first to ask one!